Hormonal changes take place in a woman’s life at all times, but they tend to become more aggressive with age, and especially with the onset of menopause. Some women may even experience hormonal imbalances from a very young age, and the symptoms they have to suffer can be quite uncomfortable. For this reason, many natural supplements now address the problems experienced by women when reaching menopause. Ladies Choice Natural Balance is one of them, and we wanted to take a closer look at its formula to see how it can help women get rid of these nasty symptoms. What Does Ladies Choice Natural Balance Contain? We notice that plenty of herbal extracts are used for making this supplement. Black cohosh, for instance, is present in many formulas, because it is very efficient in relieving the symptoms of menopause. Red clover and chaste tree are among used traditional remedies, as well. A bottle with 72 capsules costs 24.59USD and it lasts for 36 days. 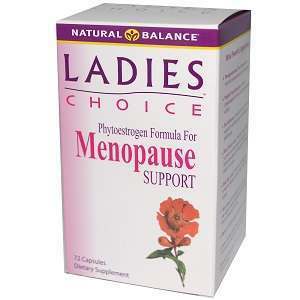 Ladies Choice Natural Balance is a natural herbal supplement designed to fight the symptoms and side effects of menopause. The list of ingredients suggests that this is a well rounded, solid product, but there may be other formulas on the market that offer more active ingredients. Jackie Horowitz	reviewed Ladies Choice Natural Balance	on August 11th	 and gave it a rating of 2.